The Verge Knee-High Compression Socks by Extreme Fit™ are essential for anyone with swelling or bad blood circulation in their legs, feet and ankles. And with this deal, you get 6 pairs at an unbelievable deal. Each of the pairs is black with a different color accent, which makes them easy to match up after washing and look great with popular modern sportswear. Compression socks like these are ideal for running, exercise, heavy lifting, prolonged standing, driving, pregnancy, swollen feet or just everyday errands. Feel the difference they can make for you! These socks are great! I use them for downhill skiing, and when traveling long distances in the car. My legs feel energized at the end of the day! I had been advised by my doctor to start wearing compression socks. Most that I tried were very expensive and hard to put on. Verge Knee-High socks gave me all the support I kneeded with the ease of a normal sock. And you cant beat the price. The socks are ok but I would not want to wear them in a professional setting. Probably will take up space in my sock drawer. These socks have really helped me with my leg swelling difficulty. Great. Thanks. These are great compression socks and the very best super easy to match up due to the different colors. 2nd purchase. Very comfortable. 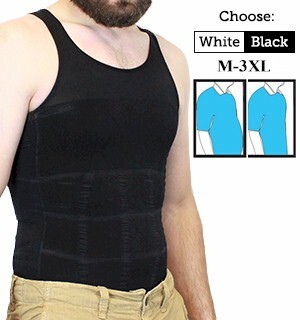 Very durable and easy to wash. Most of the day I am on my feet They usually get fatiqued and sore by the end of the day. these socks make a world of difference the compression feels amazing! my feet feel great at the end of the day, I recommend these! give em a try I may get anther set. Works great for my varicose veins. I enjoy the fit of these socks. The compression works just right for my legs, keeping swelling to a minimum. My legs dont get as tired from walking as they used to either. Excellent quality and toe seam does not create any pressure on toes. These hose hold up! These socks would be awesome but they are difficult to get on. They are so tight and a little arthritis in my hands make it real work to get these on. I am very pleased with these compression socks. They are comfortable and hold your legs tight enough to do what they need to do, and not too tight to be uncomfortable. I am very pleased with them. They definitely help, but like everything else in life, perfect theyre not. I have cramps in my legs and feet every night. Since I started wearing these compression socks I have not had cramping. Wearing these socks and keeping my feet warm have done the trick after over 50 years of suffering. I love the socks and you can’t beat the price. I can’t get enough of them. I was skeptical about purchasing them at first. I ordered 2 packages 12 pair. My only comment about them is they are fantastic. The swelling in my leg has went away. I wear them every day. I dont know how long it will take before the swelling doesnt come back, but these socks have been fantastic! Excellent for knee high support hose. Just what I wanted. I’m 72 and have been wearing support hose since my 3rd year in Podiatry school. I used to order from another company. But with the last order from them, the toe box seam almost caused an ulcer on my big toe. Your hose feel great and the toe seam is not noticeable. Congratulations on having an excellent quality knee high support hose. I myself wear compression socks, decided to purchase these for my husband. He loves them, easy to put on and very comfortable. Exceptional product, highly recommended! Love the socks. They stay in place, dont slip down on leg. Great looking. Verge Knee High Support Socks are the best I’ve used to lessen nerve damage and compress varicose veins in my calves. Effective support with comfort. I recommend them and will buy again. I need to wear support stockings for swelling in my legs. I’m 76 and don’t like the the white/brown hose. Also the price is exorbitant. You’s are fun Sox’s all different colors wear and wash well. This was my second order. 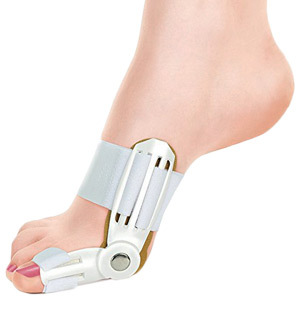 They are easy to put on and are very comfortable but most importantly they help reduce the swelling in my ankles. Feels great on legs ,was quite surprised how good. Really good product. Feel great. The socks are terrific! I am very happy. Ill recommend them to others. Thank you. Hi, I ordered the compression socks and tried them today. I have them on now. I know they are supposed to help with the circulation in my legs and I hope they do help since my feet and legs have been getting swollen sometimes. They feel nice and snug but not tight. I really like them. Thank you Pulse TV. 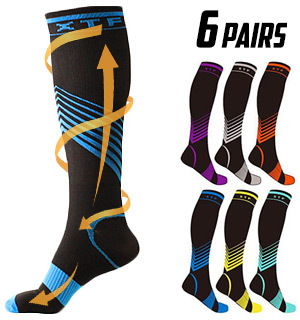 VERGE COMPRESSION SOCKS are knee high and of proper elasticity to remain comfortable all day or all night to meet your particular wearing needs. After using different brands over time, these are superior to any I’ve used. I had purchased the regular compression socks and really liked how they felt. The knee high socks are a little snug to get on, but my legs and feet felt great at the end of the day. These compression socks are very nice, comfortable and sized right. Do say to wash in cold water and not put in dryer. Best Ive ever had. Good price. Quick delivery. Good quality with creative designs. The stockings have been very beneficial. Great price for a great product. 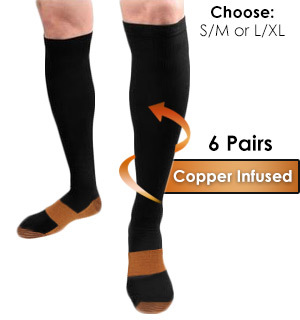 I am a nurse and need compression socks for standing long periods daily. I am 5 4, 135 lbs, size 8-8 1/2 womens shoe and ordered a size SM/MED. They fit well with a little extra length to give, in case you are taller. They are completely comfortable and way more sweat wicking than medical grade thicker material socks Ive worn in the past. Hight quality at an unbeatable price! These socks are fantastic. Even my orthopedist loved them and said these were a better value than the prescription socks he was going to write up. Work every day in them and my leg has healed up perfectly. The socks were great. I just love them, I want to order another set. My husband is diabetic and the doctor told him he needed to wear compression socks. In researching them, I found that they were extremely expensive. Then I found these on your site and ordered them. They are a great price and seem to be working. He has a doctors appointment tomorrow so well see what the doctor says about them. These compression socks are so comfortable. I didnt like the old standard sock with no toes, it drove me nuts, but I love these and they are stylish. People had no clue they were compression socks. Thank you! Have had great results and has really helped my legs. I stand on my feet at my job. What a difference these socks make. Love these socks. I struggle with lymphedema due to a broken leg and the socks have been life-changing. I work very long hours I’m on my feet for 12 to 14 hours a day and I’ve tried several brands but these are the best. These socks rival the expensive medical grade ones the doctor prescribed. These are much better than the Dr. Scholls. Sorry. They are holding up to daily wear and washing. Even better than I expected. works . My wife wears these after her DVT problem. They work as well if not better than the nylons. Her legs are refreshed & ready to go, she wears them every day. Great socks for her! I had a swollen ankle/leg from a running incident. The swelling didnt go down for weeks. Put these socks on and within 36 hours the swelling was gone. I now wear these every day to work. A little heavier weight thickness than a true compression sock. Gives some support. used at night and they seem to keep any leg aches from happening. Makes for a sound sleep. use them when traveling on long air trips also. Great purchase. These socks really help relieve the symptoms of my varicose veins. They do tend to be a little hot on these hot Texas days, but its worth it in the evening when my legs dont hurt! I really like the socks. They are great summer weight socks. Just the right compression for my work day. Like the colors and the ease of matching pairs. Well Done! My husband has poor circulation and says these socks help keep the swelling down in his feet and keeps his legs from aching. Compression socks are much more expensive in the stores and these have held up very well after being washed. These socks work very well but due to my age etc. I have a bit of a problem getting them on and off. This is just me, the Sox work great. Once I got them on I didnt want to take them off. However on the warm humid days, they were a bit too warm to wear all day. Ive been wearing compression socks for a few years, but hated the hassle of matching them up after washing. These cute colors take care of that problem! Get them, theyre great! These socks are GREAT! Their very comfortable and although they dont offer quiet as much compression as the one that I get from the VA. Those are RATIONED to me as THEY are over $100 PER PAIR! I have used compression socks before but they are always ugly black or a dull gray. These are different. They dont look like compression socks and because of the variety of colors will go with any suit or casual ware. I recommend them to anyone looking for style plus need for such leg therapy. I have only had them for about a week But I really like them and they seem very good for circulation! I have had these Compression Socks for a week now. They are very comfortable.Even thou they are compression socks they are soft and you dont notice them all day. They wash up nicely to. I would recomend them. 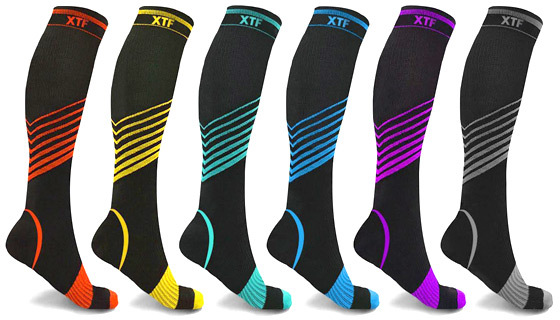 Compression sox that work, and are colorful, rather than just black ! I have diabetes and these socks give me all the support i need! The quality is as good as I expected and canâ€™t beat the price. I was experiencing swollen legs and feet. My Dr recommended buying compression socks and I saw these on sale. 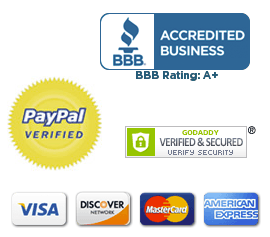 They have definitely helped as far as less foot fatigue and my footwear fitting better. They are easy to maintain machine wash and hang to dry. They are as easy as expected to get on and off. They have been durable throughout. I have ordered three times and the experience has been the same. Five Star. I enjoy the multiple choice products and the diversity of the products. The site is easy to read and the explanatory is wonderful. Thank you! You will see me again. My grandson likes the socks, they are longer then the black all color ones I bought before. He thought of them as cool. I guess it was the right choice and the price was good too. For the money these are very nice! These socks are so comfortable I can wear them from morning to night. They have eliminated the swelling in my ankles. I love the colors they are fun to wear. At the advise of my doctor, I started wearing compression socks. I got a pair of copper-fit for $9.99. I liked them so I started looking for more. What a bargain to find six pair for $25. I feel good all day and sleep better at night. Love the colors too. loved them and they feel good on and stay up. wash well. only wish they came in different colors as well. And was higher in compression scale Glad i bought 2 packs of these at once. would recommend this to all. Ive even shared some with others who also love them. Very Good! Great fit! Very good support! These support socks are very poorly made. Insides fray, and a tight strings at the top act as an uncomfortable pinch point. AND they can not be put in the dryer. Must air dry. Dont recommend these. Compression sockets better than I expected. Fit is tight but not too tight. Very comfortable. 6 pack of socks, 6 different colors all with the same stylish style.